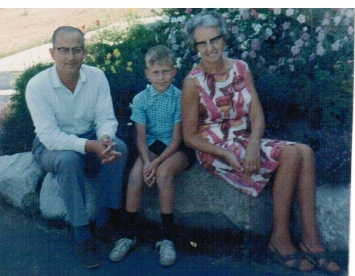 Ninety-nine years ago, tomorrow, my mother, Neeltje de Geus, was born and began her life in the village of Stroet, The Netherlands. "Helen," as she came to be known in Canada -- "Nel" to her friends -- was a blessing to our family, and to many others. Widowed quite young, after only 21 years of marriage, and at age 51, she raised a half-dozen kids from adolescence and through the teen-aged years to adulthood. Due to her guiding hand, and the sovereign grace of God, all six of her children love the Lord and many of her descendants are leaders in church, school, and community. One of the noteworthy things she did in the late 70s and through the 80s was take in refugees: a number of Vietnamese boat people boarded with her, read scripture at the supper table, and called her "mom." 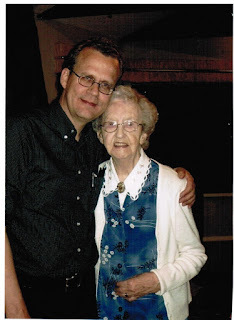 I will always be thankful for my pious, kind, and gentle mother. I think the last picture I have of my mother and me. 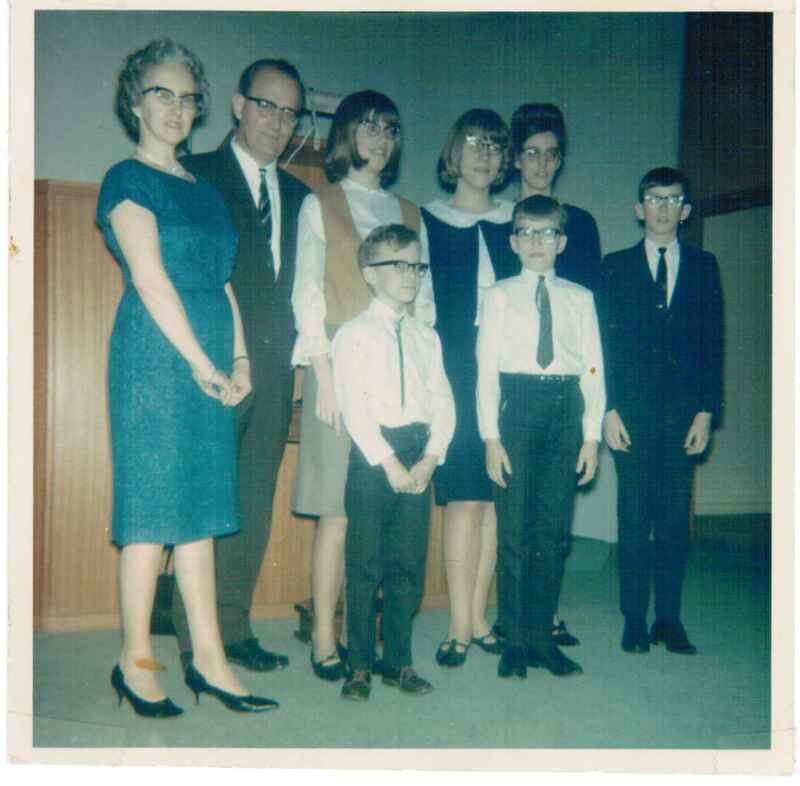 Family departing Edmonton, where my father served as pastor from 1951-1966. Shopping on Jasper Ave. in Edmonton. In front of the Cloverdale manse, where my father served as pastor until his death in 1968..